Showering the new baby girl deserves the sweetest celebration! 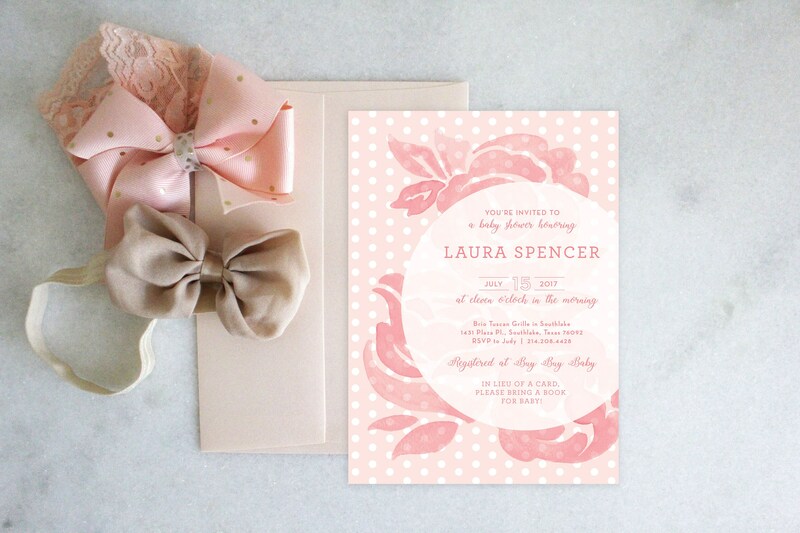 Surrounded by nearest & dearest, any of course pink, polka dots and peonies! - The name of her baby (optional). - Your shower date, time and address.